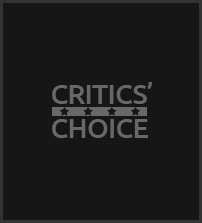 (Los Angeles, CA – September 5, 2018) – The Broadcast Film Critics Association (BFCA) and the Broadcast Television Journalists Association (BTJA) are pleased to announce that the 24th annual Critics’ Choice Awards will air LIVE on The CW Network on Sunday, January 13, 2019 (7:00-10:00p.m. Live ET/ Delayed PT). The show will continue its combined Film and Television awards format, honoring the finest in both cinematic and televised/streaming achievement, and take place once again at the Barker Hangar in Santa Monica.